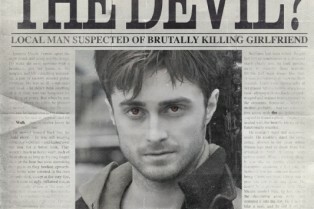 Shock Interview: Horns’ Daniel Radcliff..
Alex Aja’s Horns Arrived Early on iTune.. Beyond Fest Review: Alexandre Aja Adapts Joe .. The Final Wave of Fantastic Fest Films Has Be.. Beyond Fest and the American Cinematheque announced today that they are partnering for the return of the sophomore festival, Beyond Fest, featuring the best in world genre programming, September 25th – October 4th, 2014 at the Egyptian Theatre in Hollywood. I’m very proud to say that ShockTillYouDrop has a small part in this year’s event. Not only are we collaborating on programming the short film selections, but Shock is co-presenting The Canal and The Town That Dreaded Sundown (both free screenings!). 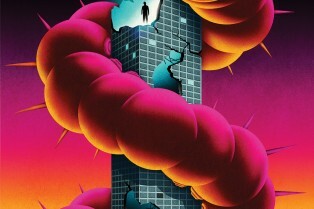 Dedicated to delivering the elite in horror, sci-fi, fantasy, and badass cinema, this year’s Beyond Fest programming reflects a globally diverse and eclectic mix of premieres, rare repertory screenings and special events, all of which are anchored in bringing firsts to the community of genre fans in Los Angeles. Alexandre Aja has lined up his next directing gig: The psychological thriller The 9th Life of Louis Drax. 50 Shades of Grey star Jamie Dornan (pictured) is attached. Alexandre Aja and Joe Hill sat down with Shock Till You Drop at Comic-Con last weekend to talk Horns. Based on Hill’s novel, the movie opens in theaters October 31st and I’ll tell you now, if you’re a fan of the source material, you will likely enjoy this weird, heartfelt film. 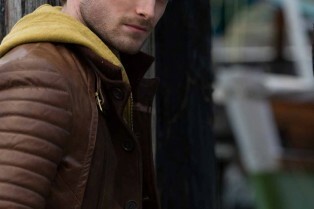 Comic-Con: New Poster for Horns Debuts! In anticipation of Horns’ preview at Comic-Con this week, we have received a batch of new photos. The film is the latest effort from director Alexandre Aja, who is working from source material provided by Joe Hill. Hill penned the book upon which this film is based. Exclusive First Look at the U.S. Poster for Horns! Release Date Revealed! 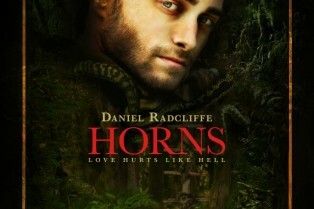 ShockTillYouDrop.com is excited to bring you the exclusive first look at the U.S. teaser poster for Horns. Further, we can officially tell you the film will arrive here in the States on Friday, October 31st (previous rumors pointed to a fall debut). International materials – like a UK one-sheet and teaser trailer – hit earlier this week and can be seen here. So far, the I think the U.S. key art nailed it. 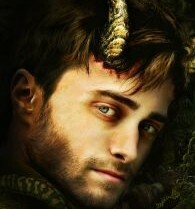 Horns is based on the novel by Joe Hill and follows Ig Perrish (Daniel Radcliffe), a young man who awakens one morning to discover horns have sprouted from his head. The international promotion for Alexandre Aja’s Horns is outpacing the U.S. push for the film. Not only did we see the release of a teaser poster, but we now have an international teaser trailer to show off as well. You can watch it via the player here. 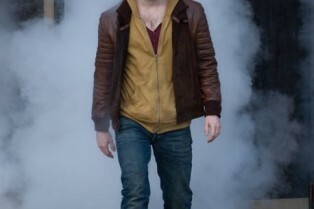 The promo gives you a look at star Daniel Radcliffe as Ig Perrish, a young man with a tainted reputation who awakens one day to find horns have sprouted out of his head. He’s equipped with newfound supernatural abilities and he uses them to find out who was behind his girlfriend’s death. ‘Horns’ is Coming This Fall, Here’s a Teaser Poster! Alexandre Aja’s Horns is making its way to Comic-Con this month. The director will be joined by star Daniel Radcliffe and author Joe Hill for a special panel that previews the Fall 2014 release. While we await a U.S. release date – which is rumored to be this October – take a gander at the UK teaser poster heralding an overseas October 31st debut. After being blamed for the death of his longtime girlfriend (Juno Temple), a small-town guy (Radcliffe) awakens one morning to find a pair of horns growing from his head.Max Minghella and Joe Anderson also star. Alex Aja’s Horns Finally Coming Out This Fall! Horns, the adaptation of the Joe Hill novel directed by Alex Aja, has eluded us for far too long. The film made its festival debut last fall and then things went way too quiet. Shortly after its premiere in Toronto, Radius-TWC acquired the movie – starring Daniel Radcliffe and Juno Temple. Today, we’re learning that a UK release date has been locked in for October 31st which means a domestic debut will likely be somewhere around this time as well. 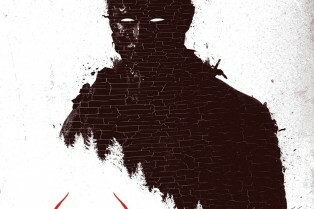 The Alexandre Aja-directed Horns has been picked up by Radius-TWC, reports Deadline. The film made its premiere at the Toronto International Film Festival last month and is based on the novel by Joe Hill. No release date has been set (go figure…it’s the Weinsteins! ), but look for the film – starring Daniel Radcliffe – in 2014. On the heels of the Midnight Madness announcement, the Toronto International Film Festival has revealed its Vanguard line-up and it’s just as impressive. The slate includes the latest films from Alex Aja and Ti West as well as a few other goodies. Head inside for the breakdown. A burning building, people attacking one another and Daniel Radcliffe with horns. That’s what you get in an Entertainment Tonight Canada video package which takes its viewers on the set of Horns, the latest film from Alexandre Aja (High Tension, The Hills Have Eyes). The film is based on the novel by Joe Hill and stars Radcliffe, Max Minghella, Juno Temple and Joe Anderson. In the interview with ET Radcliffe reveals the special powers he carries in the film, so if you’ve never read the novel, you’re entering into spoiler territory. The video is not embeddable, so you’ll have to swing by this spot to watch it. Daniel Radcliffe gets into a parking lot scuffle in a slew of new behind-the-scenes images from Horns, which is now shooting under the direction of Alexandre Aja (The Hills Have Eyes, High Tension). The novel upon which the film is based is a love story driven by horror and vengeance that revolves around a 26-year-old man who wakes up one morning from a blackout hangover and finds horns sprouting out of his head. As the horns grow bigger by the day, the reason why seems to lie in the unsolved murder of his girlfriend.